Wedding photos are the most important part of a wedding. Every couple and especially the bride wish to treasure every moment of their big day for days to come which is possible only with the wedding photos. And therefore the would-be couple is as keen about choosing a wedding photographer as they are about the wedding venue, menu, dress and ring. Thus if anyone wants to become a photographer, he or she can choose to become a wedding photographer as there is a tremendous scope for wedding photography careers. When you learn photography, the techniques are more or less the same, but a wedding photographer should learn something more and it is related to the WEDDING. 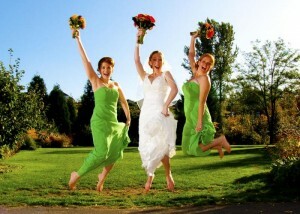 There are certain things which will be helpful for you if you want to specialize as a wedding photographer. This is very important. You should meet the would-be couple as many times as you can and discuss with them thoroughly about their expectations from you, your expectations from them, what type of photos they want primarily, etc. Of course in these meetings you should get to know about the venue and time of the wedding. It is good to visit the wedding venue beforehand and mark some locations which will offer you the most picturesque scenes. This will also give you an idea how suitable the place is for your photographs and if it is not, what to do to make it so, e.g. adjustment of lighting and addition of decorative articles. 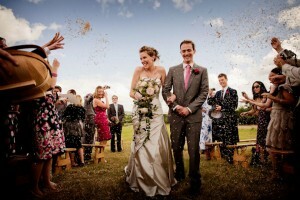 As far as possible make a list of all the situations and people you as well as the wedding couple want in the photos. It is very likely to forget a particular person or situation and it comes to your mind after the ceremony. When you write it down there are less chances to go out of your mind and of course you can check the list from time to time if everything and everyone has been covered. Find a place on top of the church or wedding hall from where you can take a photo which will cover everyone present at the wedding. This gives you a nice angle and some superb moments. Arrange for these two for good. They will take away much of stress and load from you. It is quite possible that your camera may stop working due to any reason. The extra camera will be of great help at such times. So also some moments in the wedding are such that you try to photograph them and someone comes in between. At such times your fellow takes the photo and you don’t miss anything. You can also share some work with your fellow photographer to reduce your load. Don’t take a chance with anything. Be well equipped with fully charged batteries, backup, blank memory cards, and every other accessory. Nearly in every wedding something unexpected happens. 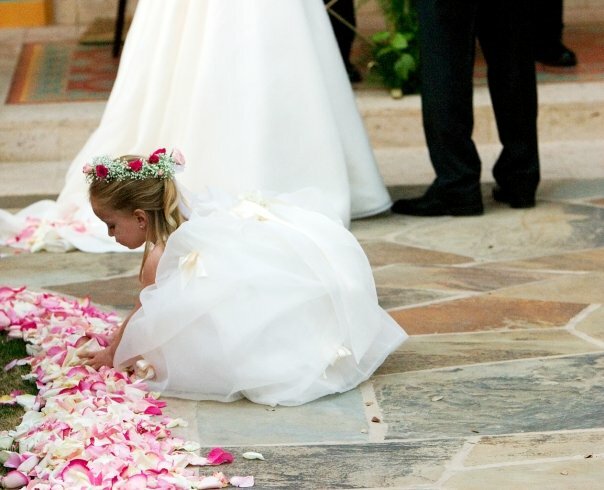 The bride forgets her vows, the best man cannot find the ring, the flower girl plans to sit in the middle of the aisle, and so on. Your skill is to take everyone out of despair at such moments to show the funniness in them and photograph. In the future, these photos will amuse the couple more than any other photo and so will be cherished the most. You get a lot of scope for your creativity during the trash the dress session. If you become an expert in this art, you can become the most successful wedding photographer. Trash the dress or TTD are unusually excellent photos of the couple or just the bride in a weird location, like ocean waves, pier, barn, field, a rugged mountain and so on. These photos are to be taken after the wedding and there is no one else to disturb you. So you can use your optimum inventiveness to take some of the best photos. If you keep these things in mind, you will enjoy your profession of wedding photographer the most and will become extremely successful in it.